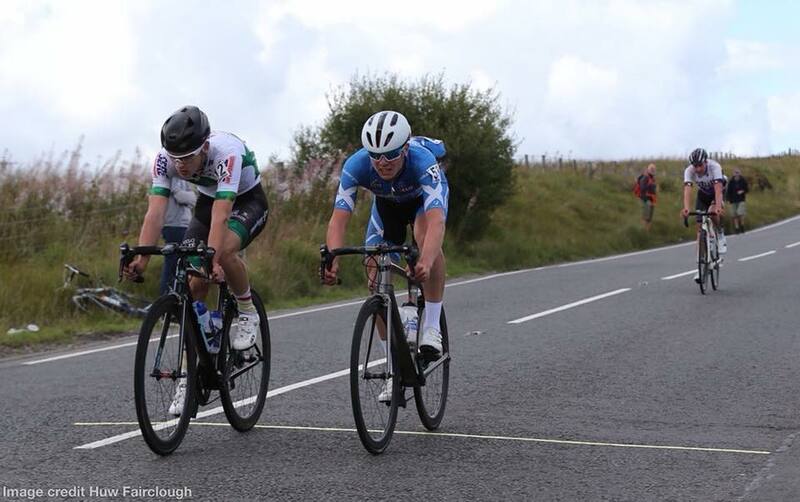 The Cycling Ulster team enjoyed mixed fortunes at the Junior Tour of Wales last week with the highlight being a stage win thanks to Adam Ward (Powerhouse Sport). Ward, the 2018 All Ireland junior road race champion was one of two Irish stage winners in the event, Archie Ryan taking the other victory. Michael McGlynn (Omagh Wheelers), a late replacement for Cathir Doyle (Powerhouse Sport) who unfortunately had to withdraw through illness on the eve of the race performed consistently throughout the four days, finishing 29th overall and the top placed Ulster rider on the final overall classification. McGlynn joined the team after flying home from Belgium just two days before the team travelled. Breandán Flannagan (Powerhouse Sport) was next of the Ulster squad in 30th, PJ Doogan (Caldwell Cycles) finished 42nd and Adam Ward ended the weekend in 55th place. “We have managed to provide opportunities for our top riders at junior and senior level to compete at events they generally would not get the chance to. It is important that we continue to try and act as a stepping stone to the development of our riders by getting them to international events. “There have been some excellent results including Adam Ward’s stage win in Wales, Michael McGlynn’s top ten overall in the Junior Tour of Ireland and Darnell Moore’s performance in the Tour of the Reservoir where he was among just 50 finishers in one of the UK’s major races containing many full time professional riders.